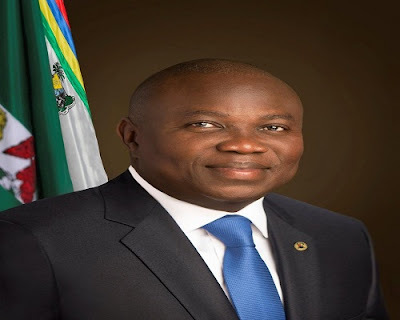 A group of protesters on Wednesday stormed the Lagos State House of Assembly to protest against the planned impeachment of the state Governor, Akinwunmi Ambode. The men and women, who carried banners with inscriptions of their agitations, said the removal of Ambode would disrupt the peaceful conduct of the general elections. They asked the lawmakers to allow the governor complete his tenure. The Assembly had accused the governor of gross misconduct and illegally spending from the 2019 budget, which had yet to be approved. They had given the governor seven days to defend the allegations or risk impeachment. Police vans were mounted at the entrance to the Assembly on Wednesday, as the protesters stood outside, singing solidarity songs. One of the men, who identified himself as Jimoh, said Ambode did not deserve the treatment being meted out to him. Our correspondent observed as of 11am that the number of the protesters keeps swelling.